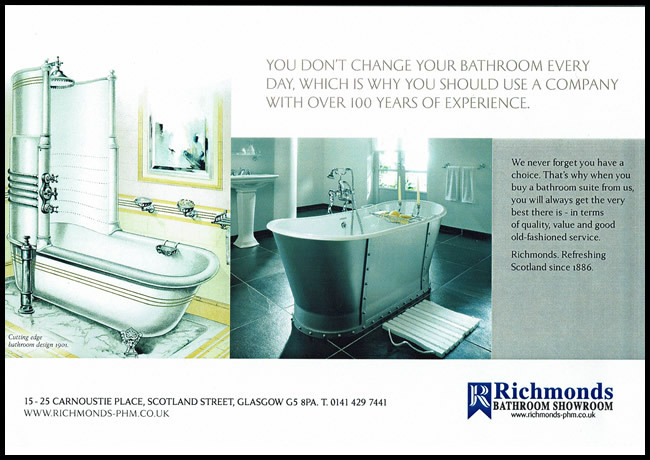 Established in 1886, Richmonds began supplying the plumbing and heating trade in Glasgow and, in the last 30 years, has expanded across the West of Scotland under the direction of Gordon Jackson, our Managing Director. 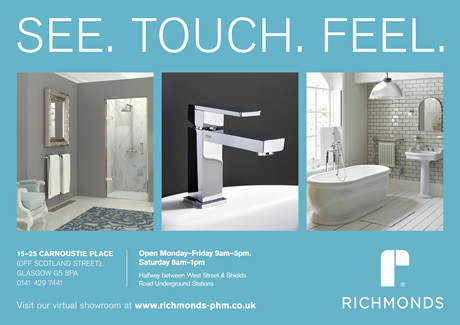 In 2015, Richmonds opened the doors to our first Edinburgh Showroom and Trade Centre in Stenhouse. With our extensive experience in the plumbing and heating trade, we pride ourselves on our industry knowledge and a highly respected dedication to providing excellent customer service. 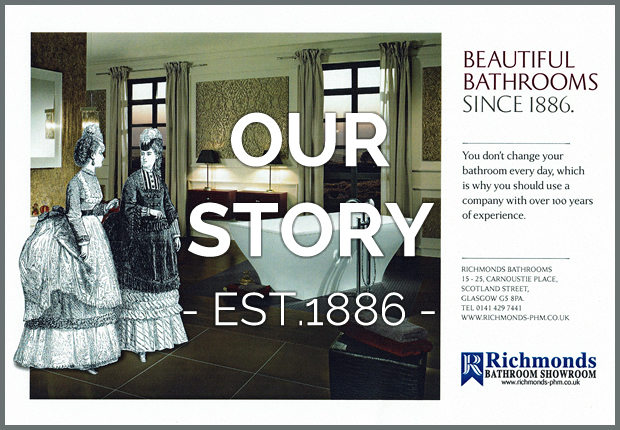 Our many loyal and long-standing customers are testament to our success in ensuring that we consistently adhere to our guiding principal: Richmonds is committed to providing all of our customers with excellent quality products at great prices. Our Showrooms are continually evolving to enable us to highlight the latest in bathroom design from a wide range of manufacturers. 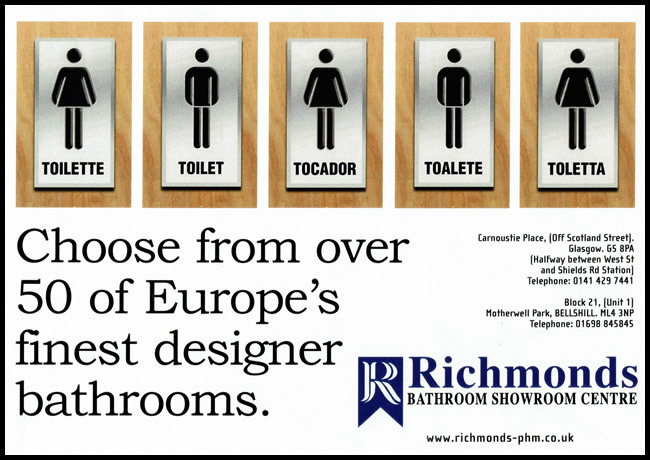 Our long-established relationships with many leading industry brands allow us to offer our customers an extensive range of excellent quality products to suit all bathroom styles and all pockets. In 2014 we also launched our own bathroom range, INSTINCT, providing excellent design, high quality and great value for money. Our heritage as a plumbing and heating merchant is evidenced by our busy Trade Centres, where we continue to assist you with all your projects – be it large or small. From the lead on the roof to the drains in the ground, we maintain high stock levels and offer competitive prices on a huge range of plumbing and heating goods for both residential and commercial properties. We pride ourselves on our excellent staff who are keen to impart their impressive product knowledge, gained over many years of working in the bathroom trade. 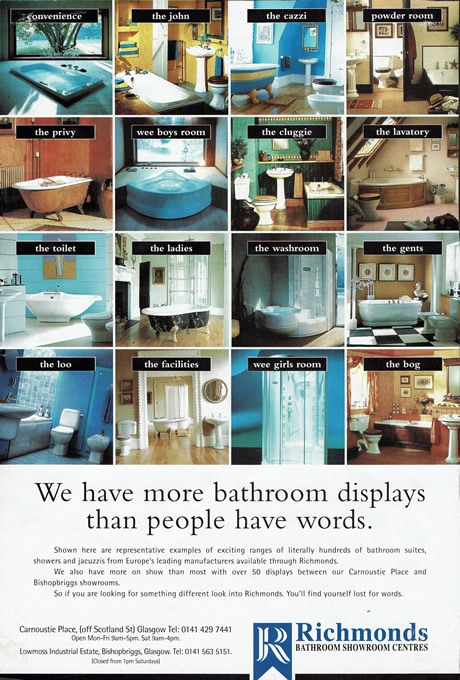 So if you are looking to turn your dream bathroom into a reality or source materials from a plumbing and heating merchant, our Showroom and Trade Centre staff will be very happy to assist you. We look forward to meeting you and sharing our years of experience.